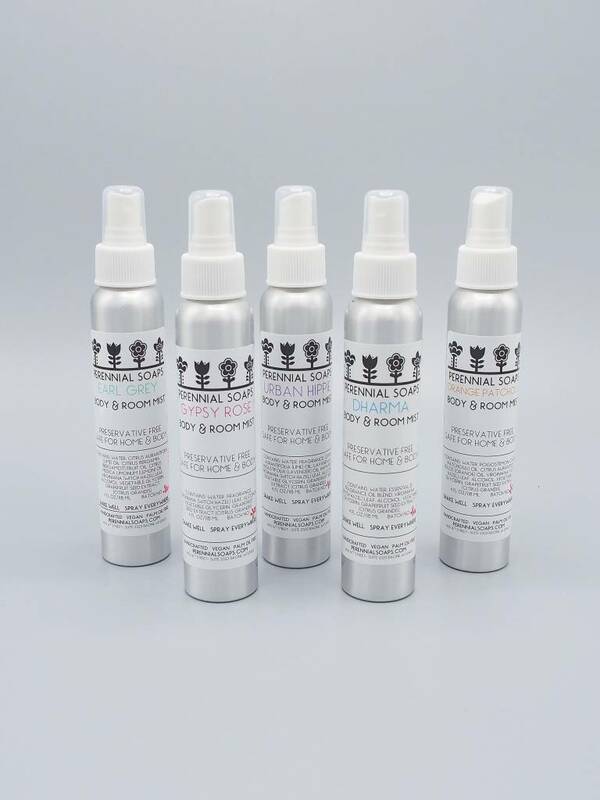 The Body / Room Mist comes in 4 oz. aluminum misting bottles. These are preservative free spays made from essential and/or fragrance oils and are safe for the home and body. BASE :: Distilled Water, Witch Hazel, Vegetable Glycerin, Alcohol, Grapefruit Seed Extract. Warm and earthy patchouli with a kick of citrus. Essential Oils of Orange and Patchouli. Lavender and Lime Essential Oils.